Join the pro life cyber warfare movement! Cyber warfare is being waged on Twitter today, Friday, March 1st. Iowans for Life needs you to do something about it right now. It’s not. It is a sane, moral, and totally just policy that saves human life. Big Abortion wants to use your tax dollars to pay for abortions in third world countries. #SheDecides to choose life for her unborn child. When #SheDecides on #abortion a mom puts her own life at risk as well. 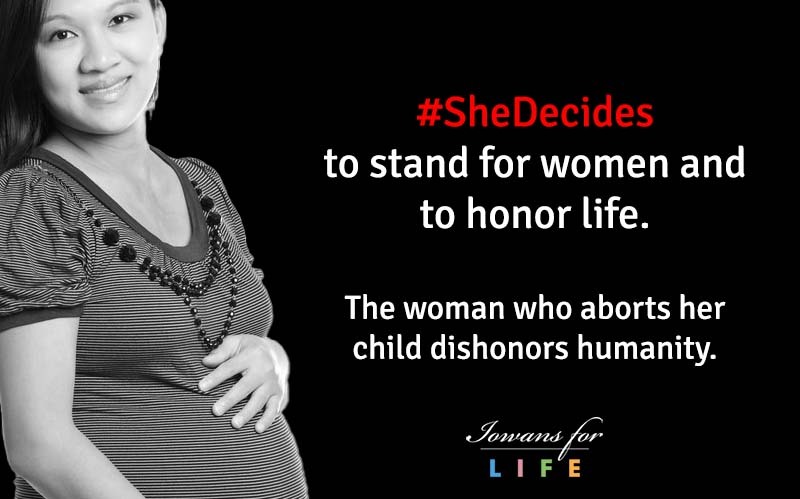 #SheDecides to honor her child by choosing adoption. When #SheDecides to choose life, anything is possible. #abortion is a dead end. #SheDecides to speak out about the pain caused by her abortion. You can help. Join the pro life bandwagon. Hijack the #SheDecides hashtag today.